The National Retail Federation said the 2018 holiday shopping season is off to an excellent start, and the tight capacity of the trucking industry is not a factor so far as retailers have more than enough inventory in stock to carry them through the end of the year. And if early sales are any indication, stores may need almost every item available. 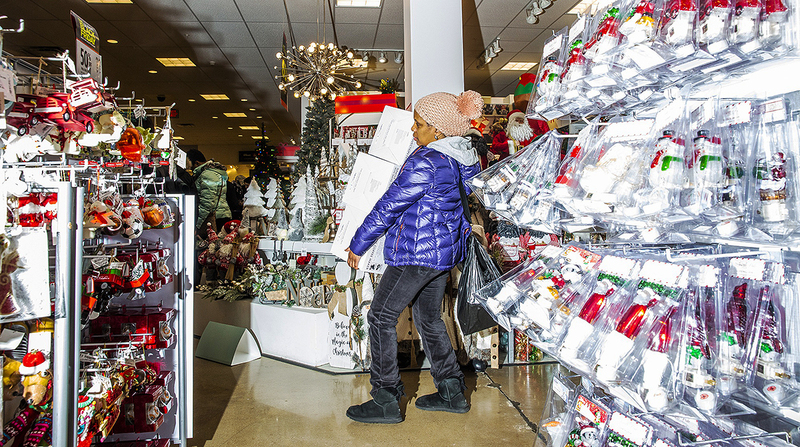 “This was a very strong holiday weekend ... and a very positive indicator of where we are headed,” Bill Thorne, spokesman at NRF, said on Nov. 27 during a call with media about the Black Friday kickoff to the holiday shopping season. Experts say the trucking industry will have enough trucks and trailers to move all goods to stores and warehouses, because trucking does not experience the same high and low cycles that the retail industry does throughout the year. As much as 30% of some stores’ total sales comes in November and December, according to NRF. Mullett added when it comes to the trucking industry’s balance sheet, the last three months of the year are business as usual. But for retail, from Thanksgiving Day through Cyber Monday, more than 165 million Americans shopped either in stores or online, surpassing the 164 million who had said they would shop in a consumer sentiment survey conducted ahead of the holiday, according to NRF. “The average shopper spent $313.29 on gifts and other holiday items over the five-day period, down from $335.47 during the same period last year,” it reported. NRF officials said that many shippers, anticipating the Trump administration’s tariffs against China and other nations, began moving goods to the United States about a month earlier than normal and had those items placed in warehouses, because of the unpredictable nature of the trade talks between Washington and Beijing. Going into the holiday season, American Trucking Associations’ seasonally adjusted for-hire truck tonnage index was 119.9 at the end of October — 9.5% higher than at the same time a year ago. The index is a closely followed barometer of freight-hauling demand. Come Jan. 1, $267 billion in tariffs against China are scheduled to take effect. President Donald Trump is scheduled to meet with China’s President Xi Jinping to discuss the tariffs at the Group of 20 summit in Argentina that opens Nov. 30. Research firm eMarketer believes for the first time shoppers will pump more than $1 trillion into the economy between Black Friday and Christmas, a 5.8% jump from last year. Also helping the holiday shopping rush this year is the calendar. Because Thanksgiving was early, Nov. 22, there are a maximum 32 days to shop before Christmas arrives. Retail analysts believe shoppers are pacing themselves through the longer period and will be looking for more bargains leading up to Dec. 25. “When the economy is good, they’re going to space it out,” said Thorne. NRF is forecasting holiday sales will increase this year between 4.3% and 4.8%. While that would be below last year’s 5.3% increase, it is well above the average annual increase of 3.9% of the past five years. The average shopper is forecast to spend about $1,000 before the end of December, much of it on apparel, toys, books, electronics, video games and gift cards. Online sales are also surging. Adobe Analytics reported a record $6.22 billion was spent online on Black Friday, an increase of nearly 24% compared with last year. The average order value also jumped to $146, an increase of 8.5% from a year ago. On Cyber Monday it reported a record $7.9 billion, up 19.4% compared with last year’s $6.6 billion — the previous record.